If you have decided to archive your emails and other digital communication, it is because you want them to be there when you need them, with their original content and format. 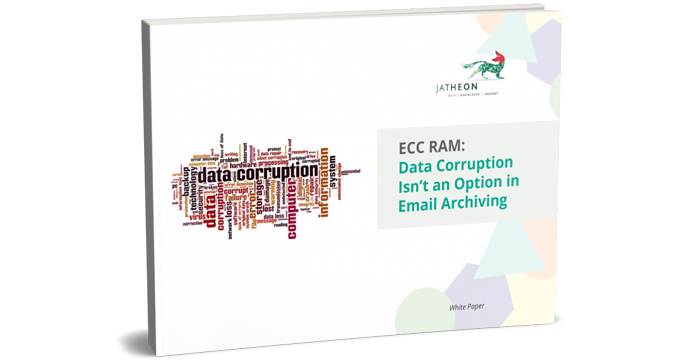 In other words, data corruption isn’t an option in email archiving. Whether you need your archived data for regulatory compliance, litigation or simply for productivity purposes, you need it archived safely by a reliable archiving solution. Error correcting code random access memory (ECC RAM) is a vital feature which prevents data corruption and improves the reliability of your archiving appliance. The general importance of choosing an appliance with server grade hardware.